Our range of products include slotter machine and heavy duty slotting machine. 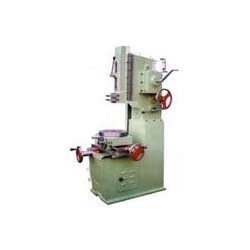 We are engaged in offering the premium quality of Slotter Machine to our esteemed patrons. Precisely engineered in compliance with the international quality standards, these machines are used for slotting and stitching edges in the corrugated sheets. These slotter machines are easy to operate and require minimum maintenance. Motor Recommended 1 H.P. 1.5H.P. 1.5H.P 2H.P. 3H.P. Being a reputed and well-known organization, we are engaged in offering premium quality of Heavy Duty Slotting Machine to our valuable patrons. 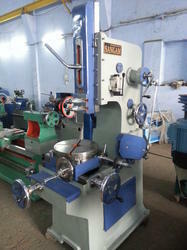 These machines are widely used for the purpose of pushing out slots in various industrial applications. In addition to this, the offered machines are used for stitching edges in different corrugated sheets. Looking for Slotter Machine ?